Our own Paul Fosse has spent a bit of time digging into the intricacies of the Tesla referral program, including how to get the referral code added after ordering. While it’s not as easy as simply inputting the Supercharging discount code on the order page, it’s not that difficult to get it applied afterward. 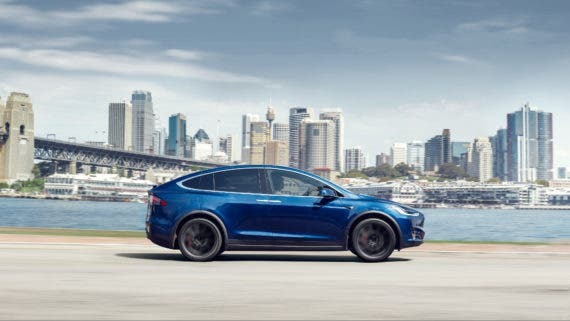 The key, of course, is that you had to have ordered your vehicle (or Tesla Powerwall or solar roof) before February 2. Also, if you already took delivery, my understanding is that your ability to get the referral bonus is expired. Sorry. Send an email to [email protected] (or [email protected] if you’re in Europe) with the word “Referral” in the subject line. Put your name, contact information, reservation number (starts with RN), and the referral code you’d like to use (for example, tomasz7234 if using mine) in the body of the email. With that out of the way, with your first Tesla on the way, you may be wondering about all kinds of things. How will it really work — the charging, the city driving, road trips, Autopilot, the touchscreen, etc. So, below, I’ll provide a handful of our core takeaways and early lessons from owning a Tesla Model S in Europe. The navigation system is brilliant. You seriously just put in your destination — even if it’s across the continent — and follow the car’s directions. If you have Autopilot, it makes highway driving approximately 3× more enjoyable. The smooth, electric powertrain reduces fatigue. It’s peaceful. You should actually stop every couple of hours on a road trip. Many people (like me) think they’re better off pushing through and driving for 3–4 hours (or more). However, that is genuinely not ideal. Forced to stop every 2 or so hours in the Tesla, I’m convinced I did end up feeling much better than if I had pushed through in a gasmobile. The power. The power, baby. Tesla vehicles are wide. Really, they are. Just be cautious. And get rim protectors. And always try to imagine the car is approximately a hand length wider on each side than you think it is. Get ready to talk. If you’re in California or Norway, I think no one will bother you. Otherwise, there’s a good chance your new Tesla will attract a lot of eyeballs and questions. You’d be surprised sometimes who is interested in your Tesla. Get your talking points ready and perhaps have a method for keeping them fresh for yourself so you don’t get bored. You can show off the Easter eggs (a fan favorite), the acceleration, the top safety ratings, the brilliant navigation system, Autopilot, the frunk, the slick music player, the range (the first or second thing most people will ask you about), how easy and convenient it is to charge, the zero emissions and gas-free life, regenerative braking, over-the-air updates, the car’s superb efficiency, and so on. I honestly recommend a method for keeping these discussions fresh for yourself, though, as they can get a bit old after 100+ chats. Of course, you can also share these 30 nasty Tesla sales charts to explain to them how competitive the Model 3, Model S, and Model X are. Consider adding your car to our Tesla Shuttle network if you’d be happy to take people on city-to-city drives once in a while for a few hundred dollars, and/or add it to Turo, Lyft, or Uber if those options suit you. In case you do happen to have an unfortunate service issue, check out your Tesla service options ahead of time. You can take your Tesla to the service center that delivers your car, but you may also be able to have a Tesla Ranger come and service your car at your home or work. Of course, you can call Tesla about service issues, but you can also now communicate with Tesla for some things via the app or navigation system. Lastly, you can use the app to turn on Valet Model or Speed Limit Mode to limit what another driver can do while taking your car to the parking garage or elsewhere. If you have a friend getting married, consider offering up your Tesla as the wedding car. In my humble opinion, nothing else compares. The clean, high-tech, luxurious ride in a Tesla is perfect for a wedding day. You can even use the drawing app on the touchscreen to draw a heart, write a message, or surprise the happy couple in another way. I’m sure I’m missing some more interesting and useful tips and tricks. Perhaps some other Tesla owners can chime in with their own thoughts, lessons, or favorite things to do with a Tesla.